Senator Elizabeth Warren’s proposal would affect Americans with more than $50 million in assets, according to an economist advising her on the plan. 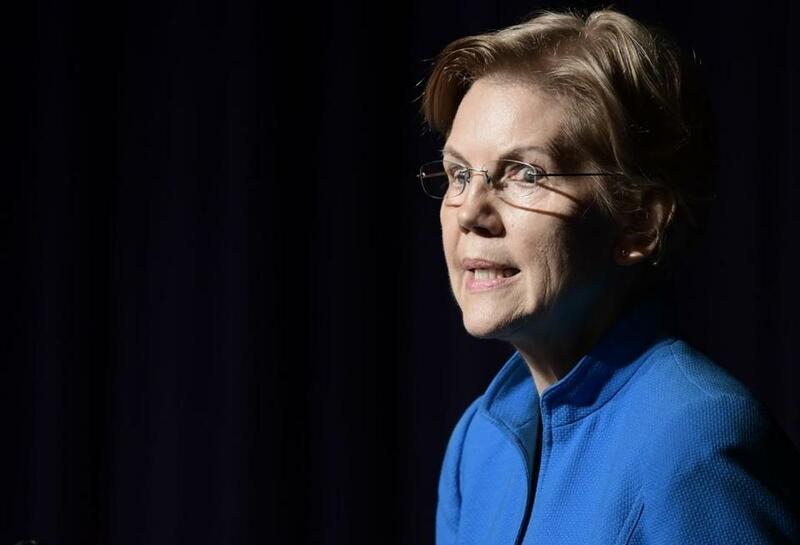 Senator Elizabeth Warren proposed a new “ultra millionaire” tax targeting the richest families in America Thursday, setting down an aggressive marker for the rest of the Democrats vying for the 2020 presidential nomination. The Massachusetts Democrat wrote on Twitter that the rich and powerful had shirked their fair share of taxes for too long. Unlike the vast majority of tax proposals unveiled by politicians in the past, Warren’s vision is to tax accumulated wealth, not income. The proposal was first reported by The Washington Post and later confirmed by Warren. She said the trillions raised could fund child care, student loan relief, health care, and a “green new deal” to tackle climate change. “We’re going to be out there counting them, and watching them,” she said of the assets of the wealthy. Saez and Zucman found in one study that the richest 0.1 percent of American families — about 75,000 households — have seen their share of the nation’s wealth skyrocket from 7 percent to 20 percent since the late 1970s. These families are projected to pay 3.2 percent this year in taxes on their total wealth, while the bottom 99 percent will owe 7.2 percent on average, their analysis shows. Warren’s plan would also increase funding to the IRS to prevent people from dodging the new taxes. Warren’s proposal quickly ruffled Republicans, with some conservatives raising questions about whether it would violate the Constitution’s restrictions on “direct” taxes. “When’s the last time someone proposed a wealth tax, a tax on your actual assets not income? Taking away things you already have?” said veteran Republican strategist Ryan Williams. But Laurence Tribe, a constitutional law scholar at Harvard, said he and about a half-dozen other law professors reviewed Warren’s plan in recent days and signed onto a letter saying they believed it passed constitutional muster. Warren is herself a former Harvard Law professor. “If people don’t endorse the plan outright, other candidates in the field will feel some need to copy the sentiment that the wealthy should be paying more,” said Brian Fallon, a former top aide on Hillary Clinton’s 2016 campaign. Both Clinton and Vermont Senator Bernie Sanders unveiled plans to increase taxes on wealthy people’s incomes during their 2016 campaigns, but neither proposed targeting rich people’s assets. “With this proposal, she’s set a very aggressive marker that the other candidates are going to work hard to match,” said Jim Manley, once a top aide to former Democratic senators Harry Reid and Edward M. Kennedy. The move also shows how far the window of debate on taxes has shifted in recent years. Democrats lived in fear of being labeled “tax and spend” liberals for decades, but have more recently embraced the title — as long as the taxes affect only the wealthiest. Alexandria Ocasio-Cortez, the freshman congresswoman from New York and liberal firebrand, was pilloried on the right for recently endorsing a 70 percent top tax rate for income over $10 million. But polling suggests her plan is broadly popular, and that political elites may be underestimating the extent of anger at the rich among voters. “I think that conventional wisdom has not caught up to the reality in terms of what’s politically tenable on taxes,” Fallon said. After Barack Obama won reelection in 2012, he raised taxes on wealthier Americans by allowing earlier tax relief passed under President George W. Bush to expire, resulting in the top income tax rate increasing from 35 percent to nearly 40 percent. He also increased taxes for investment income for wealthy people but never proposed a “wealth tax” that would go beyond income. Setting the marker down early on the issue could help Warren distinguish herself in an already crowded field for the nomination. Many new entrants to the race, including Senators Kirsten Gillibrand of New York and Kamala Harris of California, have not released tax policy proposals. The plan also goes further than Sanders’ 2016 tax proposal in targeting assets, helping Warren differentiate herself from her fellow progressive if he decides to run. “It makes her stand out because it makes me see that she is really serious about a more equitable redistribution and accountability,” said LaTosha Brown, cofounder of the Black Voters Matter political group.